I'm looking at 7546 N Hix Rd on www.realestateone.com.com and would like some more information. EXCELLENT WESTLAND HOME ON AMAZING 1+ ACRE WOODED LOT. THIS HOME IS SET BACK FROM THE STREET WITH MATURE, PROFESSIONAL LANDSCAPING AND LARGE DRIVEWAY. THE BACKYARD HAS A SPACIOUS DECK, PARTIALLY FENCED-IN YARD AND THREE CAR GARAGE PLUS A LARGE SHED. INSIDE, ENTER TO FIND A TWO STORY GREAT ROOM WITH SKYLIGHTS AND OVERSIZE WINDOWS FOR PLENTY OF NATURAL LIGHT. JUST OFF THE GREAT ROOM IS THE KITCHEN FEATURING STAINLESS STEEL APPLIANCES, KITCHEN ISLAND WITH BUILT-IN OVEN AND BREAKFAST NOOK WITH PLANNING AREA AND DOOR WALL ACCESS TO THE BACKYARD. FINISHING OFF THE MAIN LIVING AREA IS A FORMAL DINING OR LIVING ROOM, HALF BATH AND LAUNDRY. THE FIRST FLOOR MASTER FEATURES A WALK-IN CLOSET AND ATTACHED BATH WITH SEPARATE JETTED TUB AND SHOWER. UPSTAIRS ARE THREE AMPLY SIZED BEDROOMS AND A FULL BATH. THE BASEMENT IS FULLY FINISHED WITH A BUILT-IN BAR, HALF BATH AND PLENTY OF EXTRA LIVING AND STORAGE SPACE. Our Michigan real estate agents can answer all of your questions about 7546 N Hix Rd, Westland MI 48185. 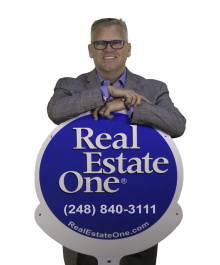 Real Estate One, Max Broock Realtors, and J&J Realtors are part of the Real Estate One Family of Companies and dominate the Westland, Michigan real estate market. To sell or buy a home in Westland, Michigan, contact our real estate agents as we know the Westland, Michigan real estate market better than anyone with over 100 years of experience in Westland, Michigan real estate for sale.